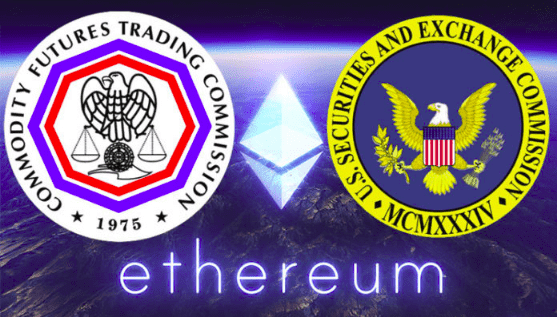 The Securities and Exchange Commission has been in a full destruction mode lately, earlier this week they shut down the Founder of EtherDelta, which is a decentralized exchange platform that offers various services which are mostly based on Ethereum-based tokens. And last week this news has grabbed the attention of many in this community as this was probably the first time when a founder was scrutinized by the SEC. Now the SEC is making the headlines again by striking down two ICO's simultaneously. The companies targetted by the SEC this time are CarrierEQ Inc [AIRFOX] and Paragon Coin Inc, and both of these are Ethereum based and their ICO's were conducted in the last year . The claims made by commision are that he ICO was conducted after they've released a report on their investigation of DAO aka digital Decentralized Autonomous Organization, which was the main cause of the split of the Ethereum blockchain. "These ICOs can be classified as securities offering" as suggested by the DAO report added the commission. Also it should be noted that Airfox raised $15 million worth of cryptocurrencies for the development of their project. They were trying to create tokenize ecosystem that will enable users to earn the currency/token and then exchange the tokens for data. As for the case of Paragon, they raised over $12 million worth of cryptocurrencies for the development of their product, i.e by introducing the blockchain technology in the cannabis industry. Both the companies have been issued a penalty of $250,000 each as they were not registered under the Federal securities laws. And adding to the pain for them is that they are required to compensate "harmed investors" who took part in the initial coin offering (ICO) and also are required to file a report with the SEC on a periodic basis of atleast a year. "We have made it clear that companies that issue securities through ICOs are required to comply with existing statues and rules governing the registration of securities. These cased tell those who are considering taking similar actions that we continue to be on the lookout for voilation of the federal securities laws with respect to digital assets"
"By providing investors who purchased securities in these ICOs with the opportunity to be reimbursed and having the issuers register their tokens with the SEC, these order provide a model for companies that have issued tokens in ICOs and seek to comply with the federal securities laws."